PROPERTY DESCRIPTION: 160+- acres with a nice combination of timber and tillable land currently planted to cool season grass. Great opportunity to purchase a home or cabin building site with good access and quality land for horses, cattle, farming, and hunting. There is a nice pond in the northwest corner of the property. There were two homes in the southwest corner of this property at one time. That location has a water well, 2 lagoons, and was once connected to electric. Also included is an earth contact home and the misc. utility buildings. LEGAL DESCRIPTION: The Southeast Quarter of Section 26, Township 29 South, Range 03 East of the 6th PM, Butler County, Kansas. 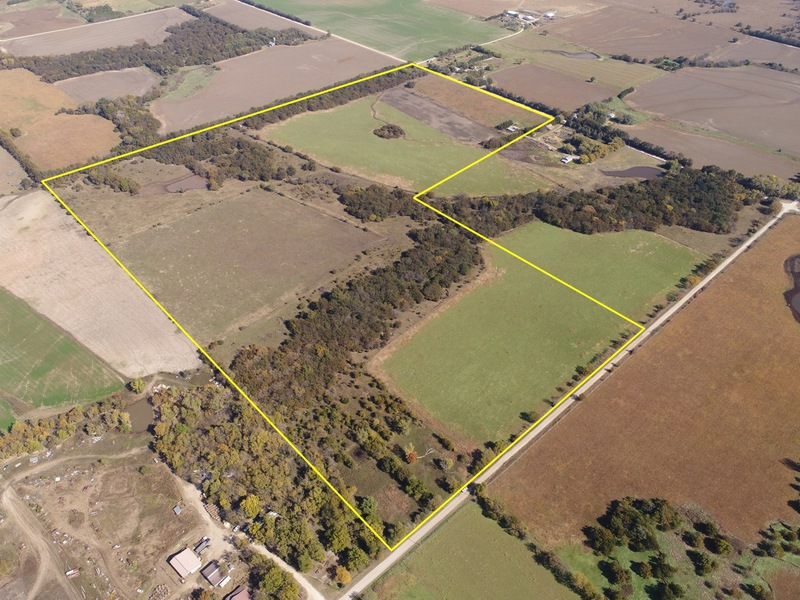 LAND LOCATION: From Douglass, 2 1/2 Miles West on 210th to Tawakoni, 1.5 Miles South to the property.